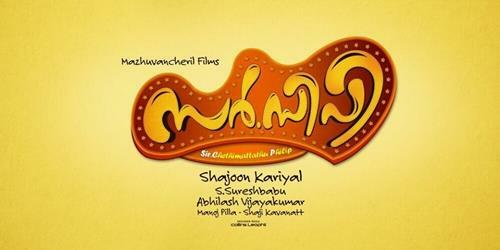 Sir CP malayalam movie directed by Shajoon Kariyal will feature Jayaram and Jyothi Krishna in lead. The movie deals with the relationships between families. Scripted by S Suresh Babu, the movie is said to be a family entertainer with young actress Jyothi Krishna donning the character role of a modern girl. With rest of the cast and crew yet to be announced, the movie will go on floor at Alappuzha from February 2014. Jayaram, who much well accepted among the family audience, is gearing up to continue his journey as an actor donning an interesting role in his career. After giving life to many attention-grabbing characters, the actor wishes to continue his journey with a family entertainer this time joining with Shajoon Kariyal. The movie titled 'Sir C P', the movie deals with the relationships between families. The story of 'Sir C P' pools into the life of Sir Chethimattathu Philip (Sir C P), while young actress Jyothi Krishna will be seen in the role of a modern girl. S Suresh Babu who has scripted for movies like Swapnamaalika, Shikkar, Film Star, Thiruvambadi Thampan, The Reporter and Nadan has lent his support writing the screenplay. Sejo John, who has set music for Prithviraj's Memories, has been roped in as the composer. With rest of the cast and crew yet to be announced, the movie will go on floor at Alappuzha from February 2014. Jayaram is riding high getting tagged in a number of projects. After getting featured in 'Lucky Star', 'Bharya Athra Pora', 'Ginger' and 'Nadan', the actor is looking forward for Shaji N Karun's 'Swapaanam', Joshiy's 'Salaam Kashmir' and Sugeeth's 'Onnum Mindathe'. Some of the other committed projects of Jayaram include Akku Akbar's 'Ulsaha Committee' and a couple of untitled ventures. Meanwhile Jyothi Krishna who stepped into the malayalam film industry with 'Last Bench' has shown her mettle giving her best performance in 'Ithu Pathiramanal', 'Lisammayude Veedu' and 'God for Sale'. Currently doing the lead role in T A Razack's 'Moonnam Naal Njayarazhcha' which also feature Samuthirakani, Salim Kumar, KPAC Lalitha and Babu Antony. Jayaram who has made a comeback with 'Lucky Star' is gearing up to keep his foot strong in the industry. Shajoon Kariyal who started his filmy career in 1984 as an associate to director I.V. Sasi became an independent film maker with 'Rajaputhran'. After winning a round of applause for his directorial ventures like 'Thachiledathu Chundan' and 'Vadakkumnadhan', Shajoon made a re entry with 'Chettayeees', teaming up with his friends in the film circle.